India vs Sri Lanka Live Streaming: Check IND vs SL 1st T20 live cricket score and today match predictions. Srilanka has lost two one day matches so far in the 5 game ODI series. They lost by 3 wickets in the last one and rain also hit it at Pallekele on Thursday. Indian cricket team is now leading the series with 2-0. The team led by Kohli won the match in 44.2 overs by achieving the revised target of 231 runs. The innings took 3 hours and 30 minutes. The men-in-blue started with a good momentum and were at 109-0, but soon, they landed at 131-7. After that, an unbeaten 100-run partnership came between MS Dhoni and Bhuvneshwar Kumar which helped India in its victory. The SriLanka skipper Tharanga won’t be seen in the 3rd and 4th ODI as he was banned in the 2nd ODI for a slow over rate offense. The SL vs IND 3rd ODI is to be played today, August 27, at Pallekele International Cricket Stadium, Kandy. It starts at time 2:30 pm IST and Sony Six, Sony Six HD and Ten 3 will do the live broadcast / telecast on TV. 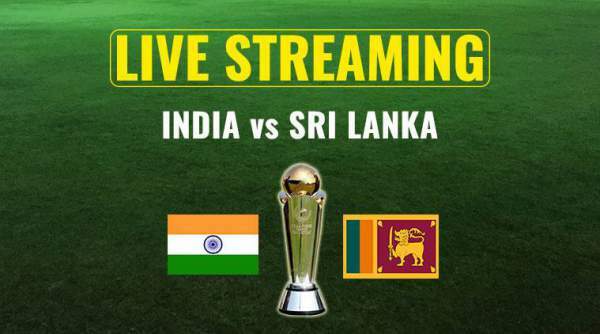 The IND vs SL live streaming of cricket match will be available on www.sonyliv.com. DI. Chamara Kapugedara is the interim captain in the absence of Tharanga. Team India whitewashed the 3-match Test series and now, seems to be planning the same in this series too. In the first ODI, they won by 9 wickets while in the second game, the hosts gave a tough fight, but the visitors won by 3 wickets. India: Virat Kohli (capt), Shikhar Dhawan, Rohit Sharma, KL Rahul, Manish Pandey, Ajinkya Rahane, Kedar Jadhav, MS Dhoni (wk), Hardik Pandya, Axar Patel, Kuldeep Yadav, Yuzvendra Chahal, Jasprit Bumrah, Bhuvneshwar Kumar, Shardul Thakur. Sri Lanka: Chamara Kapugedara (capt), Dinesh Chandimal, Lahiru Thirimanna, Angelo Mathews, Niroshan Dickwella (wk), Danushka Gunathilaka, Kusal Mendis, Chamara Kapugedera, Milinda Siriwardana, Malinda Pushpakumara, Akila Dananjaya, Lakshan Sandakan, Thisara Perera, Wanindu Hasaranga, Lasith Malinga, Dushmantha Chameera, Vishwa Fernando, Upul Tharanga (for fifth ODI). The forms suggest India‘s victory. Come back for India vs Sri Lanka live streaming, 3nd ODI IND vs SL live cricket score, commentary, ball by ball updates, match result, video highlights, scorecard, and much more. Let’s know your views, thoughts, and prediction about the game via comments.